Danish Gambit Accepted - Chess Gambits- Harking back to the 19th century! Black's most critical response to the Danish Gambit is to accept the pawn sacrifice. Against this, 4.Nxc3 is probably as sound as 5.Nxc3 is in the Göring Gambit, giving White full compensation for the pawn, and tends to transpose in most cases, but 4.Bc4 looks dubious to me, mainly because with no black knight on c6, it is easier for Black to get in ...d7-d5. If White wants to sacrifice a second pawn with Bc4 then the Göring Gambit move-order should be preferred. This will usually transpose into the Göring Gambit after ...Nc6 from Black and Nf3 from White, but there are some independent options. If Black plays 4...Bb4, then White can continue with 5.Nf3 (inviting a straight transposition to the Göring after 5...Nc6). Note that this position can also arise after 1.e4 e5 2.d4 exd4 3.Nf3 Bb4+ 4.c3 dxc3 5.Nxc3. Black has various alternatives, most notably lines with an early ...Ne7 aiming to get in ...d7-d5, but White appears able to get full compensation for the pawn against those as well. 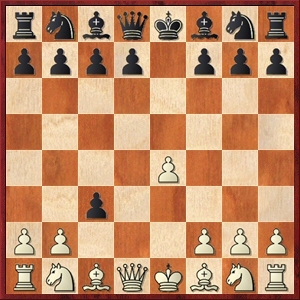 Alternatively there is 5.Bc4, with the idea of 5...Nc6 6.Nge2, avoiding the transposition to the Göring with 6.Nf3. I am less convinced by White's compensation for the pawn in this variation but it is not clearly bad. Note that if Black plays 4...d6, then White must play 5.Bc4 intending Qb3 putting pressure on f7 immediately, because if 5.Nf3?! Be7, followed by ...Nf6 and ...0-0, Black gets a solid pawn-up position. After 5.Bc4 play will typically transpose into the Göring Gambit following 5...Nf6 6.Qb3 Qd7 7.Nf3 Nc6, whereupon play tends to get very complicated very quickly, with equal chances for both sides. Against other 4th moves from Black it generally doesn't matter whether White follows up with 5.Bc4 or 5.Nf3. White most often plays the Danish Gambit with the aim of sacrificing a second pawn although I think using this move-order, 4.Nxc3 is a significantly superior option. Black can refrain from taking on b2, which usually leads again to transpositions into Göring Gambit lines, but one interesting sideline is 4...Bb4 5.bxc3 (5.Nxc3 transposes to 4.Nxc3 Bb4 5.Bc4) 5...Qf6 6.cxb4! ?, offering a sacrifice of the rook on a1. However, Black should take on b2: 4...cxb2 5.Bxb2. Then after 5...Nc6 White has nothing better than 6.Nf3 transposing into Göring Gambit lines (White can defer this knight move, but doing so narrows down White's options). Independent options include 5...Nf6 and 5...Bb4+, which often transpose to each other, and White should avoid the line 5...Nf6 6.e5?! d5 7.exf6 Bb4+ 8.Nc3 Qxf6, instead 6.Nc3 should be preferred, whereupon 6...Bb4 7.Nge2 0-0 8.0-0 gives White compensation for two pawns but it is not clear if it is enough. Note, however, that White tends to score well in practice in these lines, as White's strong pair of bishops pointing at Black's kingside are hard to deal with in over-the-board play. The biggest practical problem for White is 5...d5 6.Bxd5 (6.exd5 Nf6 leaves White exposed to checks down the e-file, and 7.Nc3 Bd6 is slightly better for Black) 6...Nf6 (6...Bb4+ leaves White with reasonable compensation for a pawn after 7.Nbd2, leaving the a1-h8 diagonal open for the bishop on b2). Then 7.Nc3 is dubious because of 7...Nxd5 8.Nxd5 Nd7 9.Nf3 c6, as the spirited piece sacrifice 10.0-0 exd5 11.exd5 doesn't give White enough compensation (though Black has to take some care). This leaves the equal endgame following 7.Bxf7+ Kxf7 8.Qxd8 Bb4+ 9.Qd2. This is no refutation of the gambit (most theoretically critical are 5...Nf6, 5...Bb4+ and 5...Nc6, with the aim of keeping a two-pawn advantage) but it thwarts the typical gambiteer's desire for a double-edged game with attacking chances. 2. 3...dxc3 4.Nxc3 Bb4 5.Bc4 (and examinations of independent options after 4.Nxc3 that don't transpose straight into the Göring Gambit). 3. 3...dxc3 4.Bc4 where Black doesn't take on b2.